Too much sometimes, but there are SO many cute ideas out there. One of my favorite sites is P&Geveryday. P&Geveryday features content and resources on beauty, family, food, health, home and more - all alongside great offers from the innovative and trusted brands we love. Looking for a new recipe or a review for a new product you're considering - P&Geveryday has got you covered! I signed up to receive their emails so I never miss a thing! 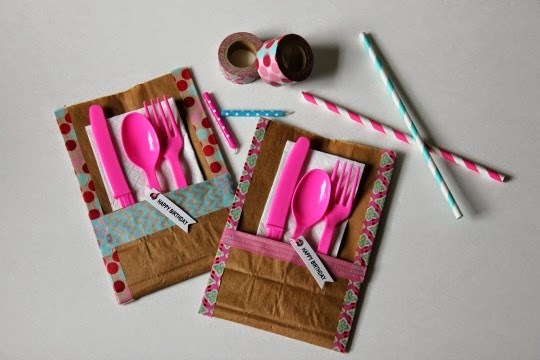 Last week I saw these adorable picnic utensil holders. 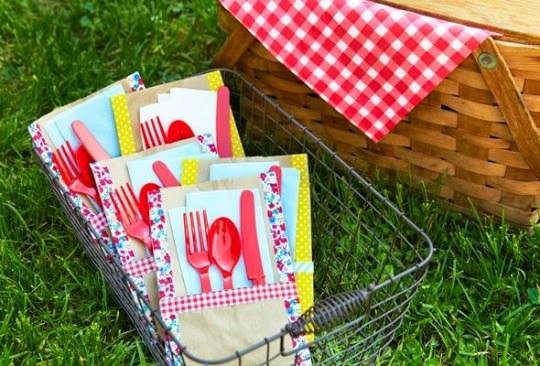 Picnic utensil holders would be perfect for 4th of July picnics or outdoor birthday parties. I love how easy they are to make and functional too! 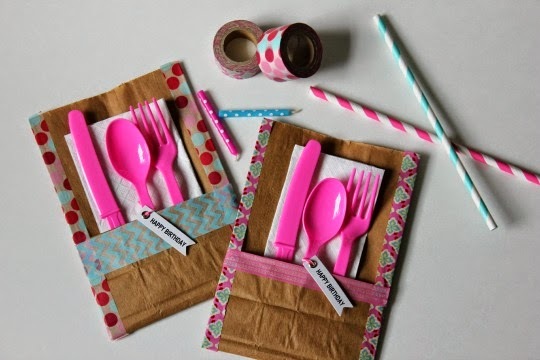 After the picnic or party guests can put all of their trash into the lunch bag. Less clean up for me! I decided to make them for an upcoming birthday party. Great ideas, recipes, coupons and samples await you at P&Geveryday! P&Geveryday shares great ideas, advice and products to make it easy for you to enjoy life ... every day.